Postcards are sort of like little advertisements for the towns and tourist spots they come from. 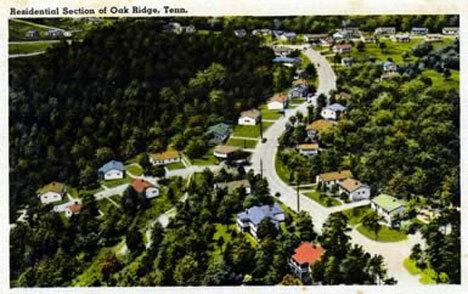 And although they might have pretty pictures and interesting historical facts, most postcards are easily forgotten. 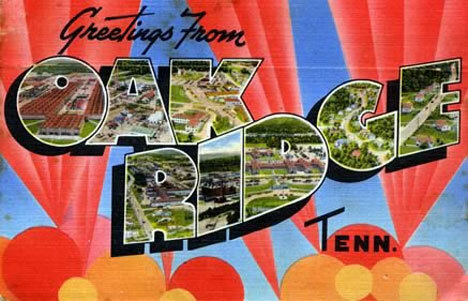 That’s not the case with postcards from Oak Ridge, Tennessee, known as the home of the atomic bomb. 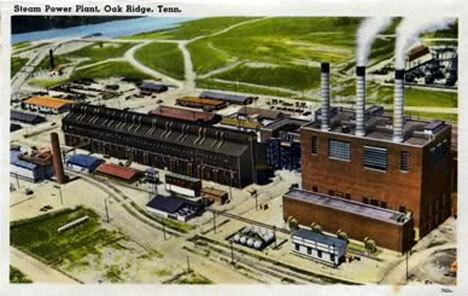 This otherwise unassuming town was an official government secret for many years; during its time as the base for the Manhattan Project, it didn’t appear on any maps and bore no official name. The majority of the workers at the government facility didn’t know what they were brought there to work on. 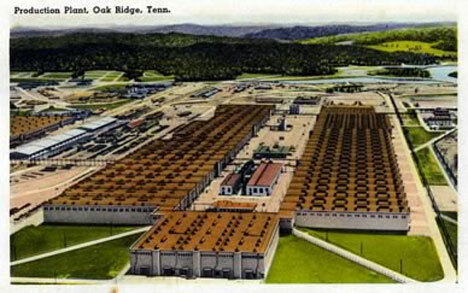 After the first A-bomb was dropped on Japan in August, 1945, the workers finally knew what they’d been helping to create at Oak Ridge. 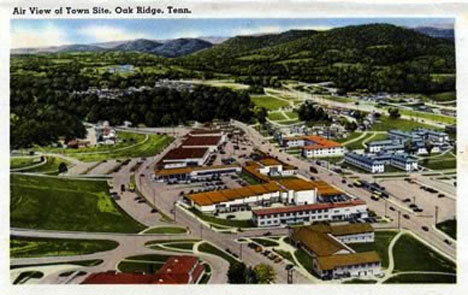 After World War II ended, a book of Oak Ridge postcards was released. The book is a very unique relic, being one of the few times a secret government installation was allowed to be photographed in such detail and released to the general public in a format like souvenir postcards. 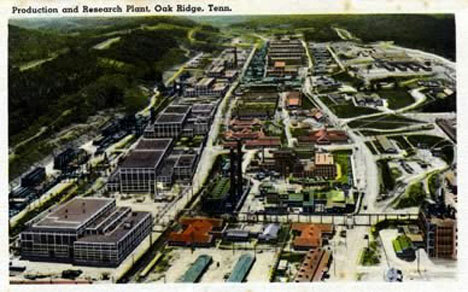 The postcards are indicative of the pride that the citizens and workers of Oak Ridge felt (and largely still feel) about their role in ending the war. 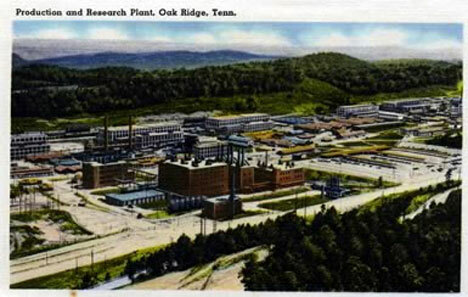 Even today, Oak Ridge continues to be a center of science and technology. 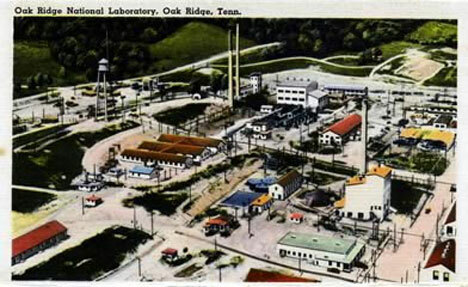 Although the area is thought to be massively contaminated from the production of nuclear weapons, it continues to be home to government research projects. It’s almost spooky to look at these proud images of the birthplace of the A-bomb knowing the massive destruction the weapon caused. 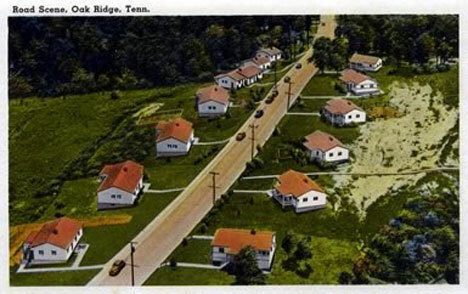 But as a rare piece of Americana, this set of postcards is a fantastic slice of history. See more in Aged Adverts or under Vintage & Retro. August, 2010.